I am white, and ancestor veneration is not something that comes natural to me; therefore, I am relying on you and your opinions and suggestions. I know I could easily Google ancestor altar, but I truly trust the people here, so that’s why I’m asking for your opinions. 1) I’ve heard that the first altar one should set up in one’s home is for one’s ancestors, however, I have already set up an altar for the Voodoo lwa Papa Legba, because he opens doors and pathways, and because I’ve heard that he is the first lwa one is to honor; however, I don’t have an ancestor altar, so I really think I need to create a sacred space to honor them soon. 2) What would be a good way of cleansing the space before I create the altar? I was thinking a mixture of holy water and Florida Water. Just an intuitive guess, and I am not even sure if it’s necessary. 3) I’m guessing a white cloth, with a plain white candle (or maybe one with a cross on it), a glass or dish filled with holy water, and pictures of relatives is a plain and simple start. But what next? 4) Are pictures of LIVING relatives appropriate on an ancestor altar? 5) What types of incenses would one use on an ancestor altar? 6) Offering food or drink popular with one’s family would make sense. Anything else? 7) What about prayers? Having been born and raised Roman Catholic, I am used to (and comfortable with) the recitation of specific prayers, but I’m certainly open to suggestions. 8) Finally, is it appropriate to combine the veneration of ancestors on an altar with one’s more worldly concerns? For example, adding money-drawing aspects or love-drawing aspects to one’s ancestor attar? OR, should they be completely separate and distinct? Thank you kindly for any suggestions anyone has to offer. I bless each and every one of you for your kind assistance. P.S. I plan on setting up a money altar next, and will be asking you for your valuable opinions soon, but felt that my ancestor altar is my main spiritual priority right now. 1) Voodoo is a religion that literally has nothing to do with African American conjure of the United States South. You could have an altar to any deity you chose and it would have no impact on what i am about to relay to you. For information on Voodoo, please seek out a Voodoo priest, houngan, or mambo. 3) This is okay. It is rather Catholic, however, due to the proposed use of holy water, and it seems to have Kardecian Spiritist overtones or an echo of Santeria as well, due to the use of Florida Water. Now, as for hoodoo ancestor veneration, you would usually have some mementos of the deceased -- framed photos, a pipe, a thimble, bronzed baby shoes, a pot of graveyard dirt, flowers, and candles. Some folks will place a skull on the ancestor altar (or a replica thereof), some will keep perfume or cologne of some sort on the altar. 4) In conjure, especially among Protestant and Catholic Christian practitioners, it is quite common to ask the dead to "watch over" the living, thus to place photos of loved ones -- especially those who may need watching over -- on the ancestor altar, to commend them to the guardianship of the grandparents who have passed. Contrariwise, in some African diasporic religions -- most notably the religion of Santeria -- this practice is explicitly forbidden. 5) Whatever suits you or the ancestors! They will tell you what they like. If they are of Native American descent, for instance, they may request Tobacco. 6) Food and drink are popular offerings. So are flowers (real or silk), and candy, and anything they request. 7) Well, if you are Catholic, and your ancestors were Catholic, then by all means say Catholic prayers. If one of them had a favourite saint, you might recite a novena to that saint to get the attention and favour of the ancestor who loved that saint. 8) In hoodoo we often find that poverty is a strong delimiter of how many altars one can set up. Many folks just have the one altar, and that has become their family tradition, and they do not go all "altar crazy" and get into "altar artistry." This is especially true if they are Protestant Christians -- Protestant altars, both in churches and in homes, are typically less numerous and less elaborate than those of Catholics. Here, courtesy of Ms. Robin of the Association of Independent Readers and Rootworkers (AIRR), is a simple cursing and revenge altar where work is conducted for clients. Sorry i missed your question above. Of course it is okay to put graveyard dirt on your ancestor altar -- if it is the dirt of your ancestors. If you only have one altar, then it's okay too. You may also work with the graveyard dirt of non-ancestors -- but you would probably not do so on an "ancestor altar" because they are not your ancestors. Not all people have a specific ancestor altar, by the way. Most have a working altar, though. Here, courtesy of Prof. C. D. Porterfield of the Association of Independent Readers and Rootworkers (AIRR), is an altar upon which ancestor work is being performed. Graveyard dirt has been collected and a "private graveyard" erected on a table-top altar. 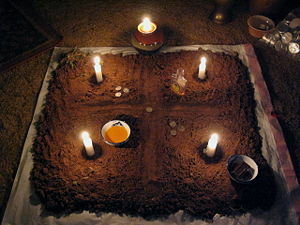 A crossroads has been deliniated and candles are being burned, accompanied by offerings of coins and other things . When the work is completed, this graveyard dirt may be used in various spells. But, if you have a working alatar, then it may be that your working spirits' graveyard dirt will go on the working altar. As for whether any of the spirits will get "jealous" -- well, honey, that is for YOU to deal with -- they are YOUR ancestors and YOUR familiar spirits. They each have their own ideas and you need to work with them, not by some fake "rule-set" or "game manual." Speak to them! I'm in the process of turning a walk-in closet into a place to keep my altar. Can anyone suggest which products to use to cleanse the space and make it suitable for housing an altar? For that matter, which products would be good for on-going cleansing? As Miss Cat stated in the above post, Chinese Wash is used to cleanse spaces. Your question has been merged into a long thread on altars, where it was previously asked and answered: we use Chinese Wash to cleanse areas. It is used for floor washes and for baths, too. It is a mild soapy product that will not harm most varnished or painted wooden surfaces. It is made with herbs and oils with reputed spiritual cleansing properties. Some people also use alcohol-based perfumes for cleansing an altar, but you must be very careful and test a small area first, lest you take the finish off of wood surfaces or cause fabric dyes to run and smear. If you wish to use a solvent-style cleanser to clean glass surfaces, you may use ammonia-and-water mixtures, and the same precautions apply. You must not ever clean a marble mantelpiece or or a hand-carved wooden nightstand with a marble top like this with lemon juice or vinegar. It will destroy the finish. Your altar is, above all, a piece of furniture and a practical working space. Keeping it clean is important, and preserving it from harmful chemicals is importan as well. Thank you for moving my post and for your reply. I'm actually really careful about starting new topics, and I did look for an altar thread... just not hard enough. I really liked your suggestion upstream about putting a single altar facing south. I need to check my room. If there's enough space, that's exactly what I'll do! There has been much talk of how to set up an ancestor altar...and a little about the saints but not exactly How to set up a saint altar? What color cloth do you use or does it matter? Is it set up like an ancestor altar with a cup of water and a shot of whiskey? Do you only use the saint candles or like the ancestor altar do you use a certain colored candle as well? Do you burn incense on it? Any particular kind? Or doesn't matter? 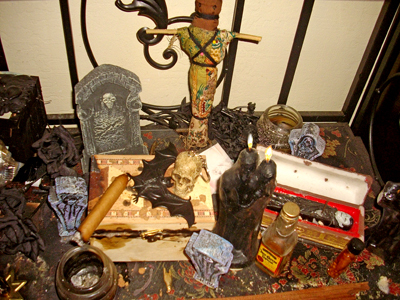 blackcateyes, the reason there is little talk about setting up altars in the home for Catholic saints is that relatively few practitioners of hoodoo are Catholics. We just don't have a whole lot to say on the subject because most of us don't do it. It is customary in folk Catholic practices to relate certain saints to certain colours. 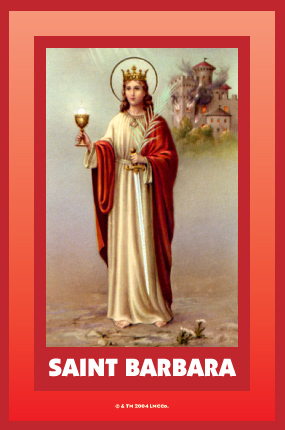 These are often the colours of their costumes in the most popular holy cards and chromo images depicting these saints. Thus, for example, Cyprian is associated with purple, Expedite with red, Dymphna with green, Michael with red, Our Lady of Grace with blue, Our Lady of Mount Carmel with brown, Saint Anthony with brown, and so forth. White is also acceptable in most Catholic altars, as is yellow or gold, the colour of beeswax, which, at one time, was the only kind of wax permitted in Catholic churches. If you want to venerate a saint, I would suggest reading up on that saint first in the regular Catholic encyclopedia and then among folk-Catholic practitioners of the culture to which you are an adherent. It is important to note that the folk-Catholic practices of France differ in a number of ways from those of Germany -- and all of the European variations differ in turn from South and Central American practices. In the United States you will see a lot of variations, because immigrants have come here from all over the world, and those who are Catholic may have brought to America a wide variety of favourite saints or favourite practices for venerating them or favourite beliefs about their patronage. Cultural variation does NOT mean that colour, offerings, date of veneration, area of patronage, and so forth "don't matter" -- in fact, to many people, these nuances and their cultural origins matter a great deal. If you are coming to Catholicism as an outsider, i would suggest that in order to gain a coherent, workable view of the matter, you should make friends with someone of the culture which attracts you, and follow that culture's preferences. We can't describe all of the many Catholic variations here -- there are simply too many of them -- but we do have threads about a great number of the saints, where people have posted their own cultural traditions and their own opinions. So, rather than try to generalize, which is impossible, i ask you to read the threads named after the saints in whom you are interested and ask about each saint in his or her own thread. 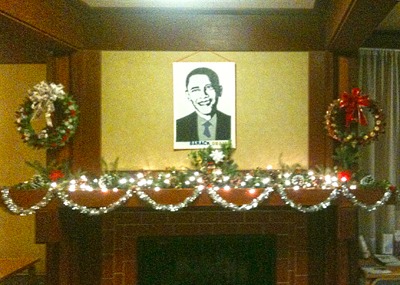 Thinking of using my fire mantel in livingroom. Everyone knows i love candels so i burn them all the time anyway. There R always cadles up there. What am i missing? Want to keep discreet. The journey of learning is never ending ! I was moving my break up altar to a more discrete location in my home and I accidently knocked both figures down! I picked them up off the floor and placed them right back in it's original place/ position. Did I do the right thing? If not, what do I need to do?? ?This is my third day, has my work been compromised? ??? We all have what I call oops moments. 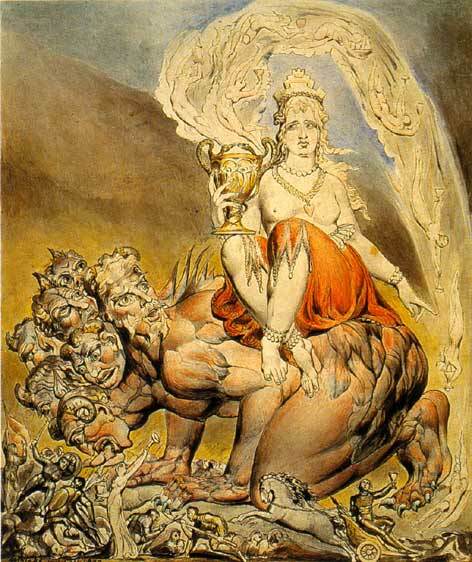 When you are involved in your work, it may seem that you have compromised the spell. In my opinion, consider the work at hand. How do you feel when the situation happens and go from there. If you have this continuous feeling get a reading and ask your question, in your case, 'has my work been compromised?' A person reading your post, could certainly say from reading your post 'no' or 'yes' according to their experience. But a reading on the matter will be more accurate and give you the next steps. Good Luck! So I can understand you better, just continue my work and feel it out as I have been? been my feeling, doesn't return I should get a reading? It's so disheartning to me, all of the time, energy, etc.. put into your work and this happens! Those "accidents" are always another force at work. Perhaps the targets are protected? Perhaps you are protected because they were about to find out what you are up to and will send a curse in return which might mess things up for you if the job was not disturbed at that point. Do a reading, find out and adjust the work to the situation. It was literally a careless mistake on my part, I have such little privacy @ home and all.. I was simply trying to find and place my altar in a more discrete suitable place. I can't dismiss all of your suggestions, though! So, here's another one for you....... How do I go about getting this reading ASAP? I've seen the info on the site already but how do I go about choosing the right person? Also, there are so many different kind of readings available!!! Of couse one could say "but my window was open, so that is why the candles blew out" and similar things. But the real reason for that window being opened at that time might not be the same as the ideas ones mind usually go for when asking for basic reasons behind things. I suggest you call Hoodoo Psychics at 1-800-HOODOO and ask the one avaliable right now, whoever that might be. This may not be the most technically proficient answer but I think it's very often important to just go with what you feel. I have these sorts of mishaps all the time but I know it's mainly because I don't have the most delicate touch. There are times, though, that I just get the sense something is not right. It just smells of it. It doesn't have to mean something is necessarily wrong. Sometimes these things happen to protect you or send you in a different direction. For example, I once sent a tricked packaged to a love target. On my walk to the post office, I tripped and fell flat on my face sending the package flying out of my hands well across the way. Anyone could have fallen but in that moment I knew something was wrong. My intuition was screaming that I needed to go back home. But being a bit hard-headed, I mailed that package regardless. When my love target received it, we ended up getting in an argument over the contents and it took us weeks to begin speaking again. Something tried to stop me from sending that package but I didn't listen. Basically, you just have to learn to develop and trust your intuition. How do you feel about what happened? That's usually the first question I ask myself and take it from there. When these things do happen, I tend to just set the items straight, pray a little harder and focus a little harder. If I think another force is at work, I usually perform a cleansing and then repeat the work. I have to say you are right!!!!! This morning, my intuition was extremly confused! It so happens to be that me and my intended work together, he has approached me twice today!!! In one of this approaches it was to invite me out next week and the other, well let's just say it was surprisingly intimate! So for me.....I'm taking it as a gesture that my work is working!!!! Im doing exactly what you suggested Ama, I going to pray even harder!!!! I'm going to be visiting my parents next weekend which is the new moon and time for my spell kit. Can I start the spell in another location and then move it to my apartment to continue? Hi. Can someone tell me if I should use a separate altar for Cast Off Evil, Cut and Clear and Road Opener spells? I have a 'love' altar and an altar where I burn my 'saints' candles but just wanted to check if I should use a separate altar for the ones mentioned above. You could use the saints altar for the work that you listed. Saints would help with casting off evil and opening the way for you. Thank you Mama Micki for your swift reply - it has helped very much. There is no one way to have an altar, nor is there a requirement that one has any kind of permanent altar space on display. Generally altars may have a symbol of faith, candle/s, and incense burner. Anything else is up to the practitioner. Making altars on fireplace mantels is extremely common and popular in the practice of conjure. Being "discreet" is your choice. Here, courtesy of Althaea Greenstone, who donated the photo to the Associaition of Independent Readers and Rootworkers (AIRR), is a fireplace mantel altar that is anything BUT "discreet"; with, to the lower right, a very discreet ancestor altar that looks like a table-top collection of old photos. Yes. When doing work like that, I would put them on two different spaces. And make sure you clean yourself when you are going back forth in between works. And doing two works at the same time if youre still sort of new can sometimes be energetically draining. So if you feel you can't do both at the same time, then I would work on the money drawing as that seems to be more important. I have another question? Why is two candle are mainly used when is for the divine/deties? I have a spare dresser with a mirror attached to it and I'm thinking of setting up the dresser as my alter. Is it okay to have candles burning in front of mirrors? I can't help but to wonder if the mirror would reflect back the energy that I would be trying to send out with the candles. Many workers have used mirrored dressers as altars, I don't see why you couldn't. Blessings and best of luck. Thank you SO MUCH for responding. I appreciate it and the links are very helpful. An authentic skull of a ancestror died in the past does it better than an imitation of skull ? I would have to say yes, if the skull could be made available to you. Imitation is always just that, an imitation. I'm interested in Stars' reply about fixing the skull candle and not burning it. So it would serve almost like a candle-as-doll baby? In that case, would it be loaded and named? That's an interesting intermediary between dressing & burning a candle and baptizing & working a doll. thanks! I have had this pressing need to put a cigar on my altar, but I was wondering if there is a specific way I should go about it. Do I light it? Should I let it burn out or just snuff it out right away?? I ask because I put one there, but that *need* didn't go away. I lit it for a little bit, but it's still bothering me. I'm wondering if maybe I put the wrong type of cigar at this point. Who knew the spirits could be so picky! Some spirits can be very specific. 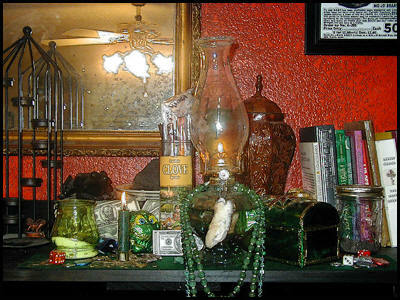 I used to "shotgun" cigar smoke onto my altar for a specific spirit. I'd light the cigar, draw in a mouthful of smoke and blow it back onto the altar. Not the most pleasant practicefkr a non-smoker, but it suited that particular spirit. I guess you can also light it in an ashtray... when cleansing my altar I usually light a mini sage bundle and place it in a glass on my altar and just let it smoke up my entire altar. I would think you can do the same with a cigar. 2) How can I make an altar in my house, if my husband doesn't know what I am getting into? I am not planning on telling him that I am going to start doing spells and such... What should I do???? 3) Where do you think should set up my altar? I am dead serious about this! What doesn't kill you, makes you stronger. 1) Making an altar does not automatically involve the vereration, propitiation, engagement, appeasement, or enticing of a spirit. Nor does working with spirits require an altar in every case. To find our which spirits are associated with which offerings, stufy the religion(s) in which that spirit is venerated. We cannot help you a lot with that because we have no idea which spirits you intend to call upon. 2) An altar can be made in an entertainment cabinet, on a night stand, on a kitchen shelf, on a fireplace mantel. It can look like anything you want it to look like. I haveseen altars that consist of photos hung in groups on the wall, on top of an upright piano, and on a clothes closet shelf . 3) Anywhere that is convenient, feels right to you, and is simple to keep clean. Many people do not have complete privacy to work, but manage to do so. All you need is a dresser top, a cabinet, a table, or any place where you can burn candles. You don't need it left out all the time; just burn dressed candles and maybe some incense when he's not around. You can take baths, wear oils and powders, and carry a mojo discreetly. So it doesn't have to be a time to do so? Thank you for the info. I need to go read that link now! Lol. Research and study miacane00. Here is a page on Lucky Mojo ( http://www.luckymojo.com/patronsaints.html) that discussed Patron Saints and their occupations. Rookie2conjure, timing is an individual matter. There is no one universal way to time altar work. I have to clear off my alter for some short but long term company. I am going to start working a honey jar. Can I simply put it next to me on my side table next to my bed and light my candles and say my prayers? How Important is having an alter? Thanks! The first thing you will need to do is to learn to spell the word altar correctly. I am not trying to put you down -- i am telling you that if you search this site (or anywhere on the web) for "alter," you will not find any information, because to "alter" means to "change" as in "Dying her hair greatly altered her appearance." If you spell it the right way, you can find a lot of helpful posts about altars. 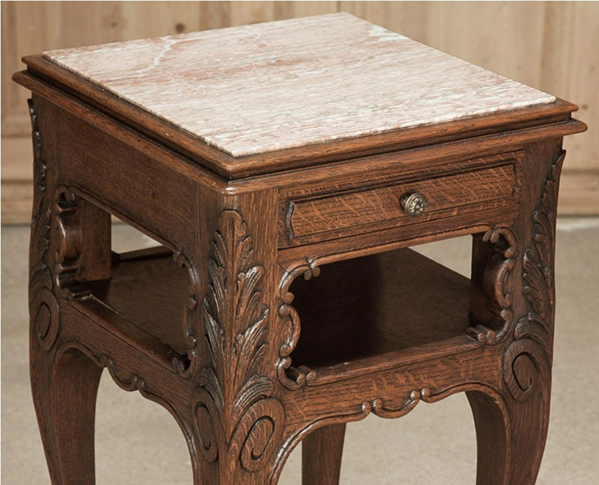 A nightstand such as you describe is quite traditional for use as an altar. I think you are mistaken when you say ithat such a piece of furniture is not an altar. We define the word altar by what is done on it, not by what it looks like. I will help you even further, and this is for everyone else who is trying to search for information in the forum. Google in an invaluable search tool for searching the forum. In the forum search, when you type altar, you get the following message: "The following words in your search query were ignored because they are too common words: altar. You must specify at least one word to search for. Each word must consist of at least 3 characters and must not contain more than 17 characters excluding wildcards". This has happened to me before. That will frustrate you real fast. Fortunately, LM is indexed in Google, so the easiest way to find what you need is to type in the search bar: site:forum.luckymojo.com altar . If you're searching for a phrase, replace altar with the phrase in quotes. Works perfectly for me, and saves me from having to get either the above message, or something like "958 results". ^This is invaluable advice that should be right there on the forum's front page. +1. having an altar is not 100% necessary. you can have temporary or moveable work spaces if you need to. many work this way and it's a valid way to go about your business. that said, on the other hand, many people find that having a permanent space devoted to the work you do is an invaluable asset for success. The energy that builds in a space devoted to Love, Money, Family, Deity, adds and supports your work even when you're not actively praying. It's also a symbol to the Divine that your practice is important enough for you to devote it a space - even just the back of a closet - it gives your intention PERMANENCE and RESIDENCE in your life and home. i just finished doing a commanding spell, during the last 4 hours of the candle burn the wick floated the the side and soothed the right side of the glass, about 2 hours later the wick floated back to the middle and the rest of the burn was clean can any one explain this. the candle burned for 6days. I personally haven't ever experienced a burn like that. Make a note to yourself about the wick, observe the outcome of the spellwork, and that could be an indicator for you in the future. I have a spare bedroom which I want to converted into an altar room. This will be for personal use to help me and my family. No negative work, just positive work. My question is, can I have several altars in that room, for instance altars for my saints, my ancestors, money altar, love altar, family altar? Success ... Which altar would this belong to? Also, as for the money altar, I suppose this is where I will be working on steady work and money drawings and boss fix. Now, my question on this, do I need to make two money altars one for me and my husband or I can just have one for us? Rookie2conjure wrote: My question is, can I have several altars in that room, for instance altars for my saints, my ancestors, money altar, love altar, family altar? Success ... Which altar would this belong to? Yes you can have multiple altars in a single room. You can do success work either at whatever altar you have for the goal, (success in love at your love altar,success in your career at the money altar) or you can build an altar for your own personal success and mastery. Rookie2conjure wrote: Also, as for the money altar, I suppose this is where I will be working on steady work and money drawings and boss fix. Now, my question on this, do I need to make two money altars one for me and my husband or I can just have one for us? Either option works. I would personally have a single money altar to bring wealth into the house. Now, since that will be my sacred/altar room, do I need to remove the camphor squares I have in that room? Rookie2conjure wrote: I have a spare bedroom which I want to converted into an altar room. ... as for the money altar, I suppose this is where I will be working on steady work and money drawings and boss fix. Now, my question on this, do I need to make two money altars one for me and my husband or I can just have one for us? I think it would be incredibly shiny if you could do both: a central lodestone array in the middle with things to bless your husband's projects on one side and your projects on the other: mojos, arrays of curios, treasuremaps or pictures of your workplaces or dream jobs, etc. you'll also find lots of useful information in the Forum thread on Altars that I'm merging this into!